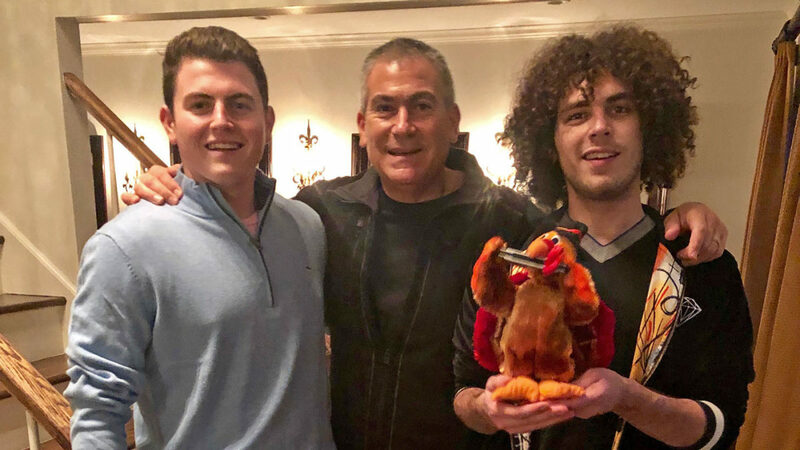 As one grows older, the holidays become increasingly important not just as a time to reunite with family, (and if you’re like the Udells, to enjoy a bit of football! ), but also as a moment for personal assessment and reflection. Trite as it might sound, I can’t help but feel overwhelmed with blessings as I look across the Thanksgiving dinner table laboring under the weight of turkey, mashed potatoes and Pam’s delicious Thanksgiving pumpkin muffins! Often reminding my family to be grateful for everything we have, and more grateful for many things we don’t. You will understand by the end of reading this blog that there are many things in this world that you could have but would never want. In Highland Park and surrounding communities, our children walk home each day from some of the best schools in the country without so much as a worry. They might stumble under the weight of designer backpacks brimming with electronics, clothing and every possible convenience, but they’re never burdened by the imminent fear of war or the safety of their family. I count myself among those who could and should do better at remembering that there are many Jewish children, like those growing up in Israel next to the Gaza Strip, who live a very different existence. Like our children, each day the Israeli children in the Gaza Envelope kiss their parents, pull on a backpack and walk off to school. 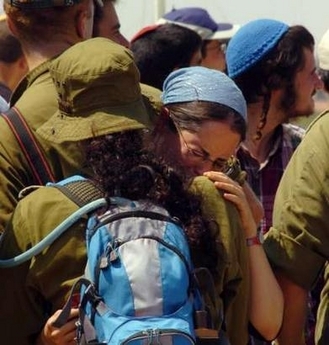 Unlike the Jewish children of the North Shore however, each time a child in the Negev waves goodbye to their parents, they both do so with a fear that this hug and this moment might very well be their last. I’m embarrassed to admit that for many years I did not understand what it meant for Israeli Jews to live in the lands adjacent to the Gaza Strip. Like many, much of my understanding was gleaned from national news reports lasting a minute or two at best. As I’ve begun to do my own research and get involved with the JNF, I have found that few news sources have adequately covered what has happened and is happening on either side of the wall separating Gaza from Israel. The history of Gaza is a tragic tale of a naturally blessed area of land that was beset by natural disasters, conquests, and occupation for nearly 5,000 years. At various times, the land along the Mediterranean was occupied by the Philistines, Egyptians, Bedouins, Romans, Greeks, Persians, Israelites, Turks and many others. 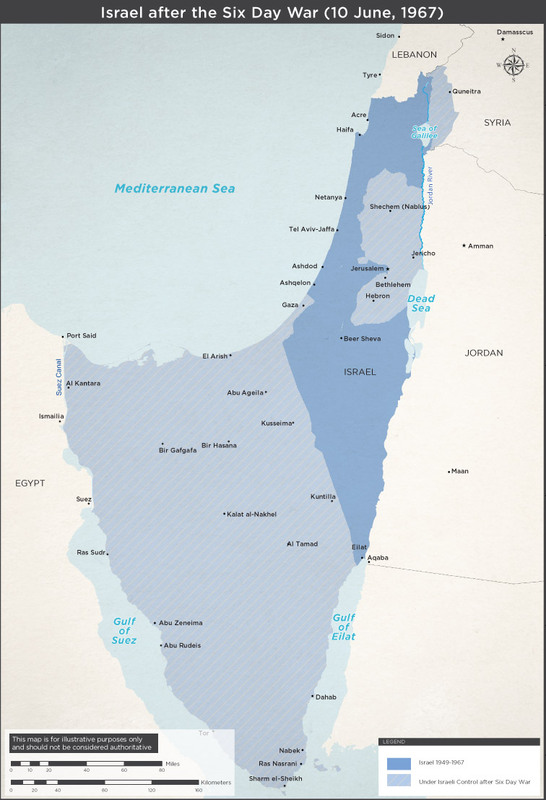 In the 16th century, Gaza was conquered by the Turks, placing the land and its diverse, sparse population under the control of the Ottoman Empire. Turkish control lasted until the later days of World War I when, aligned with Germany, the Turks lost control of their empire, transferring power over the Ottoman Middle East to British, French and Italian rule. It was the newly-empowered League of Nations that approved the British Mandate of Palestine, empowering the British to administer the land around Gaza until such time that the people could rule themselves and stand as a free nation. 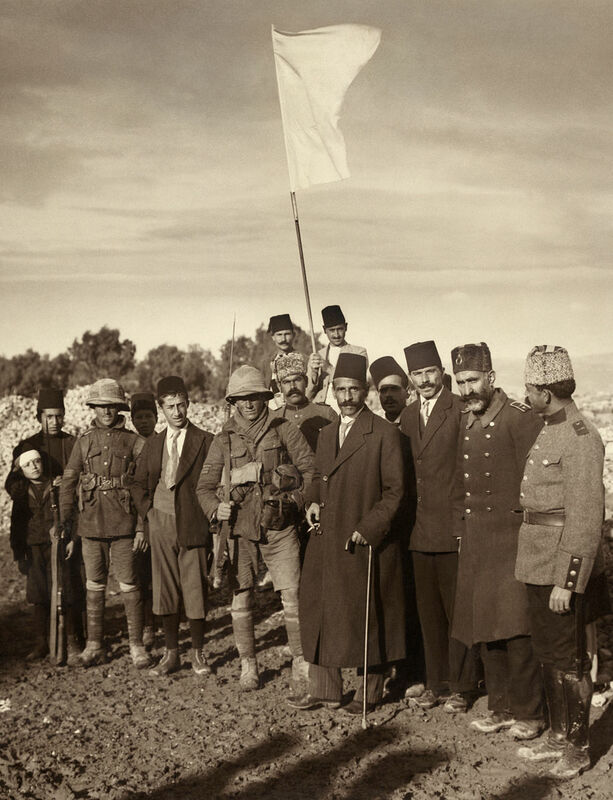 Crucial to the British Mandate was the understanding that Palestine would become a home for the Jewish people, as proposed in the Balfour Declaration. 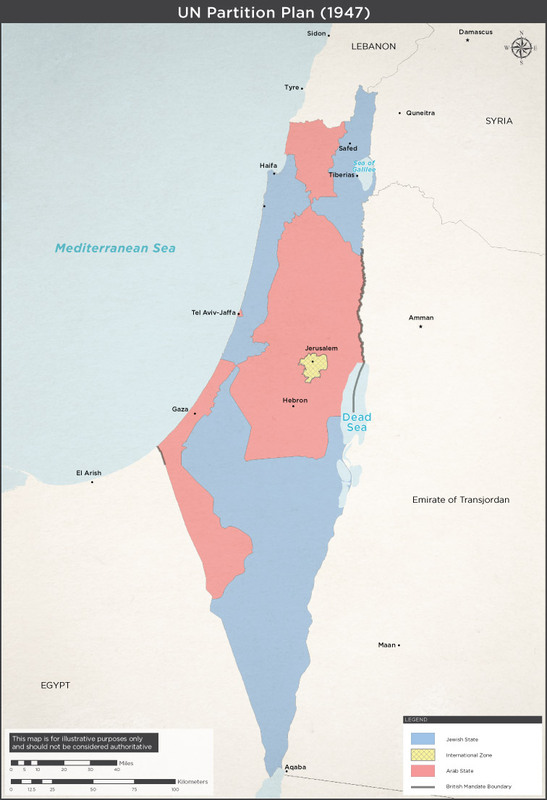 In 1948 the Balfour Declaration imagined two states - one for Palestinians and one for Jews - that would be carved out of land previously controlled by Britain. In 1947, after the conclusion of World War II and the systematic extermination of millions of Jews, the infant United Nations passed the Partition Plan for Palestine that envisioned separate Jewish and Arab states with Jerusalem under the Trusteeship of the UN. On May 15th, 1948 the United Nations terminated the British Mandate and recommended the creation of independent Arab and Jewish States and a Special International Regime for the city of Jerusalem. The Plan was accepted by the Jewish leadership and rejected by the Arab leaders and governments. Almost immediately, the vision of autonomous Palestinian and Jewish nations collapsed with the first shots of the 1948 Arab-Israeli war. In 1948, the fledgling state of Israel defeated Egypt in the 1948 Arab-Israeli war. The post-war boundries of Israel did not include the Gaza Strip, now under Egyptian control, and remained as such until 1967.. In 1956, the Suez Crisis erupted. Egypt, still stinging from its humiliating defeat in 1948, was determined to blockade the Strait of Tiran, effectively blocking passage of ships filled with Israeli cargo into and out of the Red Sea. While some western powers were concerned about the blockade, of greater concern was an emboldened Egypt that would dramatically change the balance of power in the region. More to the point, the post-colonial powers of France and Britain believed that Egyptian control over the Straits of Tiran would lead to Egyptian control of the Suez Canal. While Israel, Britain and France did not share the same goals, their interests in defeating Egypt were aligned. Israel needed open access to its Red Sea ports and France and Britain wanted to maintain Western control of the Suez Canal. On July 26, 1956 Egyptian President Abdel Nassar announced that Egypt had seized control of the Suez Canal. 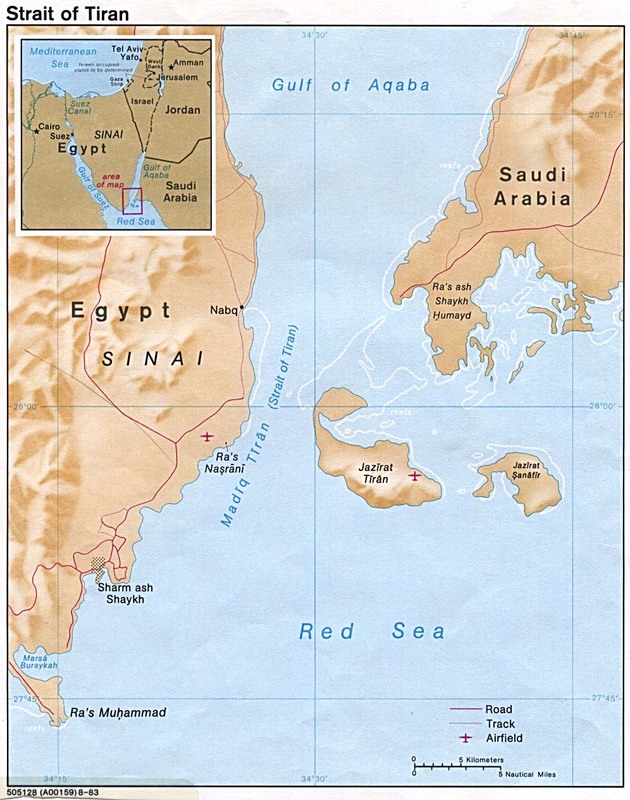 By October of the same year, quietly encouraged by Britain and France, Israel invaded the Sinai to permanently eliminate the Egyptian blockade of the Strait of Tiran that had existed on-and-off since 1950. Despite being vastly outnumbered, the Israeli Defense Forces pushed the Egyptian Army back to the Suez in little more than two months. 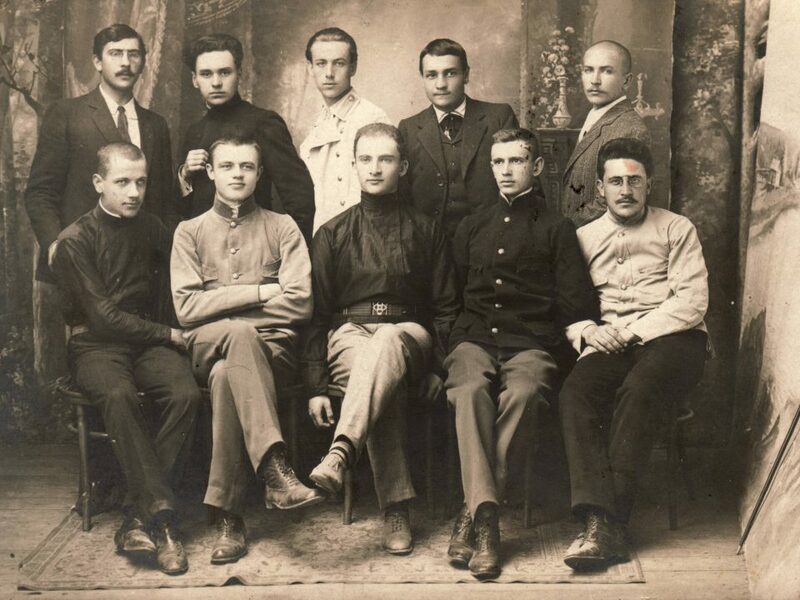 Quickly, an armistice was reached setting post-conflict, pre-negotiation borders of Israel that extended to the Suez and included the Gaza Strip. No one was under any illusion that the tenuous 1957 armistice between Israel and her neighbors would hold. Indeed, all parties had embarked on a non-stop military buildup from the moment the cease-fire agreement was penned. In May of 1967 Egyptian President Abdel Nasser, in a moment of great hubris, once again attempted to exert control over the Straights of Tiran, expelling the UN Peace Keepers, and moving Egyptian troops to Israel's southern borders. Having previously been warned by Israel that a repeat of the blockade would be a cause for war, Nassar seemed eager for a fight. 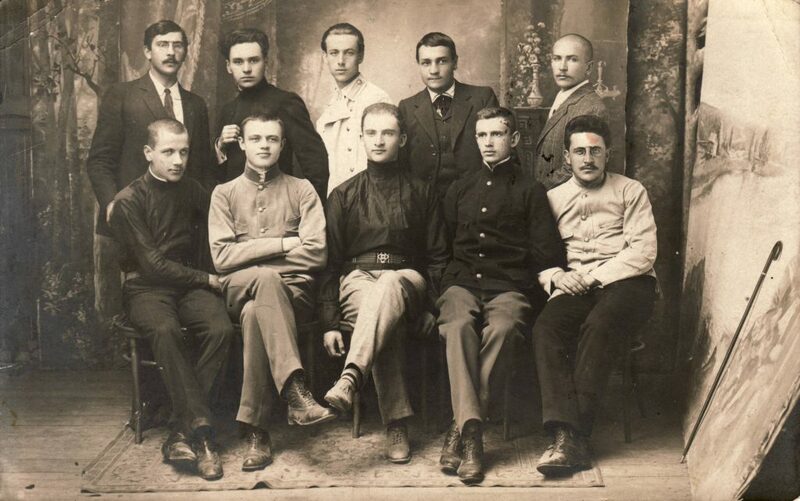 Some speculate that Nassar's new friends in the Soviet Union had emboldened him into believing that with a numerically superior air force filled with Russian MiGs, Egypt would prevail. To the surprise of no one but Egypt, Israel's Air Force launched surprise attacks on Egyptian air bases on June 5th, 1967. Taken by surprise and suffering from poor planning and leadership, the Egyptian Air Force was nearly destroyed during the first 24 hours of the conflict. Jordan and Syria were quickly pulled into the war and within days all three Arab military forces suffered a humiliating defeat. Egypt once again lost the Sinai and the Gaza Strip. Jordan lost control of much of the West Bank, including East Jerusalem. Syria's rapid defeat led to Israel's capture and control of the Golan Heights. The 1967 War saw Israel capturing the Sinai Peninsula, the Gaza Strip, West Bank and Golan Heights. 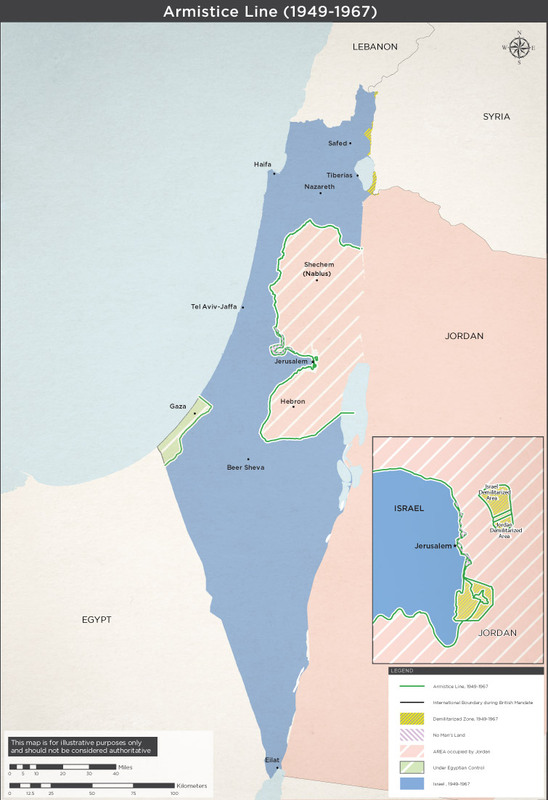 Israel would subsequently return the Sinai to Egypt, but Egypt resisted attempts to return the Gaza Strip. 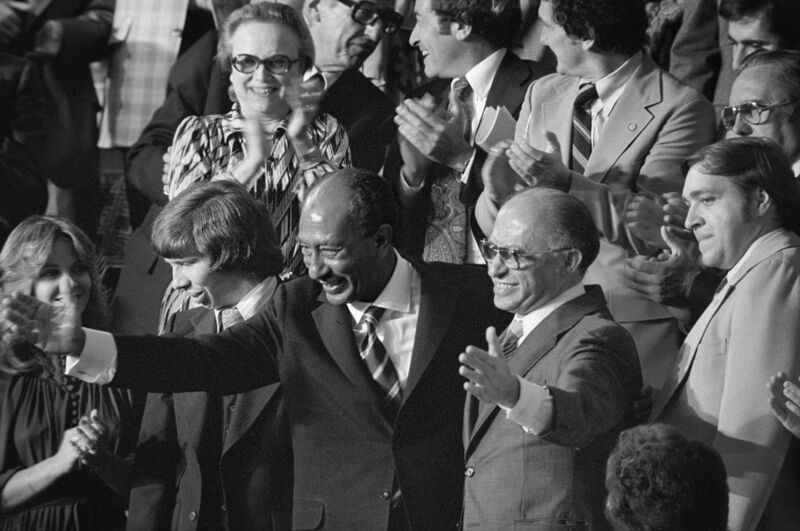 A watershed moment came in 1978 when Egypt and Israel agreed to the Camp David Accords. In return for peace, Israel ceded the Sinai back to Egypt. Egypt did not, however, request the return of the Gaza Strip and its increasingly militant, dispossessed and growing population. Some have suggested, perhaps cynically, that what Egypt could not do on the battlefield, they achieved the moment that Israel took responsibility for the Gaza Strip. Israeli control of the Gaza Strip seemed doomed almost from the start. Unlike the economic integration of Arabs in the West Bank communities, Palestinians living in Gaza had limited contact with the sparsely populated Israeli towns and cities in the South. It’s also important to remember that Egypt viewed the more radicalized population of Gaza a nascent threat to their own nation and erected barriers and strict controls for trans-border travel. PLO and Hamas suicide bombings plagued much of Israel from 1980 through the early 2000's. Occupation of the Gaza Strip by Israel was originally viewed as the best of many bad options. Most are familiar with the First (1987) and Second (2000 ) Intifadas, or war of Palestinian Liberation, as its protagonists choose to call it. These deadly uprisings in the Gaza Strip resulted in several thousands of deaths, mostly of Palestinians but also many Israelis. I vividly remember as a young man in my twenties the nightly newscasts of Palestinian youths hurling rocks at similarly young Jewish soldiers on patrol in Gaza. During this same time frame, terrorists from Gaza and the West Bank routinely carried out suicide missions in Israel, resulting in thousands of civilian deaths. Israel retaliated against these incursions with attacks upon PLO military targets and more troops in the Gaza Strip. After nearly two decades of this intractable war, and years of International attempts to mediate the conflict, Israel made the decision to unilaterally withdraw from the Gaza Strip in 2005. It was an extremely painful time for the 8,000 or so Israeli settlers in Gaza who had built families and lives on the land, often encouraged by the government decades before. With the withdrawal of Israeli troops and settlers, the competing Palestinian factions for control of Gaza, Hamas and the Palestinian Authority went to war against one another. By the end of 2007, the virulently militant Hamas had defeated the Palestinian Authority faction, Fatah, resulting in the Gaza Strip becoming an even more radicalized haven for those seeking the destruction of Israel. Of course, the withdrawal of Israeli troops was presaged by plans to protect inhabitants in the Israeli land bordering the Gaza Strip. Various forms of a wall were erected in Israel on the Northern and Eastern borders of the Gaza Strip. While this and other defensive measures helped to reduce the number of suicide bombings, indiscriminate killings and kidnappings of Israeli citizens and soldiers, in 2018 Hamas turned to a new form of terrorism – incendiary devices and rockets launched indiscriminately into Israeli civilian centers. 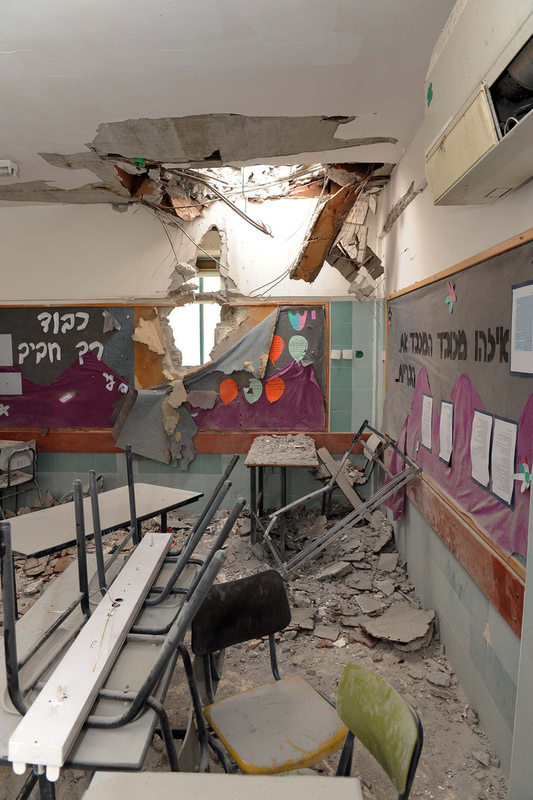 For the past decade, Israelis living in the Negev lands bordering the Gaza Strip have had to prepare for and endure a constant barrage of increasingly sophisticated and powerful incendiary devices and rocket attacks from Gaza. Unchecked by the presence of the Israeli military and fueled by technical and material support from Iran, Hamas has used this universally condemned weapon of terror indiscriminately against Israeli civilian populations. Though not often reported by the domestic press, tens of thousands of Israelis across an increasingly large swath of land must be prepared on a moment’s notice to find pre-arranged shelter no matter where they are or what they’re doing. Indeed, the rule of thumb is that every man, woman and child must be prepared to find shelter at an approved site within 15 seconds of the warning of an incoming attack. This reality means that virtually every building in the Gaza Envelope – the lands directly adjacent to the Gaza Strip – must be designed and constructed with a designated shelter area. Imagine the extra planning and cost that must go into all construction not to withstand the forces of hurricane winds or tornados, but rather an incoming barrage of missiles. I was taken aback when during my research I came across the website of an Israeli architecture firm, ALEFBET, that highlights among its core competencies the experience of having designed “sheltered” kindergartens in the Gaza envelope. Behind the brightly colored walls and sand-filled play lots one might see in any kindergarten, this firm has designed bomb shelters where children can huddle during a rocket attack. The ill-effects of the rocket attacks extend far beyond physical damage and lost lives. For those who are nearing their 60s, I’m sure you remember the grade-school drills of hiding under your desks in mock preparation of a possible nuclear attack. Imagine life as a child where ducking and covering were not drills, but real-life experiences endured with regularity. Post Traumatic Stress Syndrome is a real and growing threat to the families and children in the region. 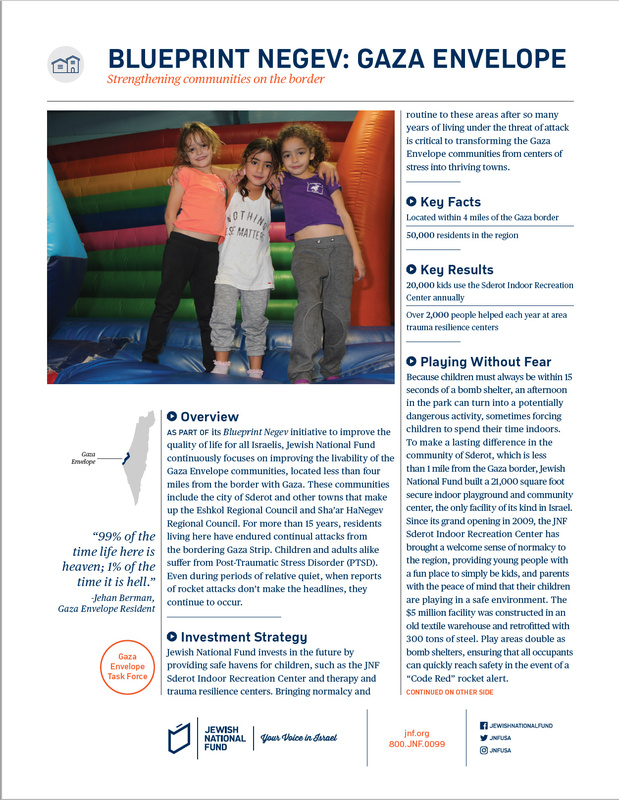 As the linked pdf, Blueprint Negev: Gaza Envelope, highlights, every facet of an Israeli citizen’s life along the Gaza Strip is impacted by the threat of rocket attacks. Schools and buildings must be fortified. Fire and rescue equipment must be plentiful and specially equipped to handle the morphing threat from Hamas including flaming kites and balloons used to set the fields and farms on fire. Special counseling and therapy centers must be built, staffed and maintained. 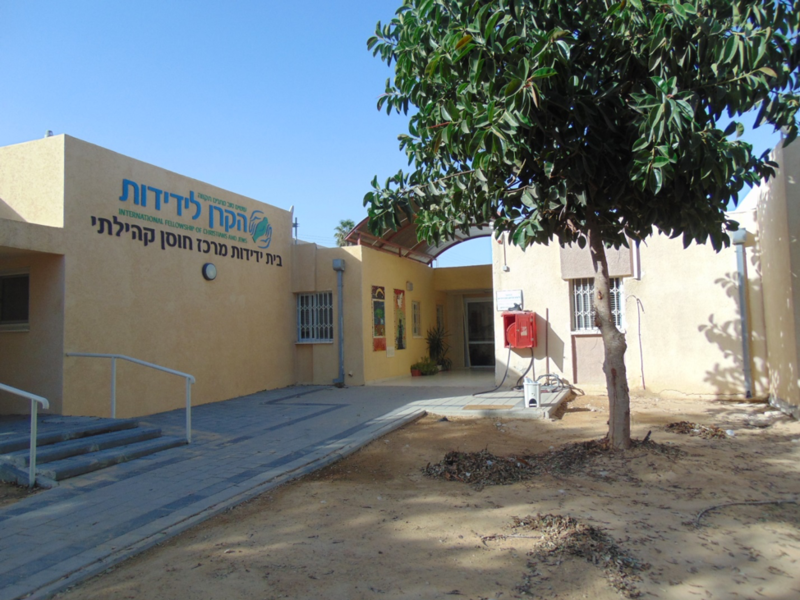 The Jewish National Fund has launched a critical drive to help Israelis in the Negev with the needs identified in the document above. As we sit down with families and friends this Thanksgiving, praying over the bounty and blessings bestowed upon us, perhaps we can share a small bit of our good fortune with the Israeli children and families in the Gaza Envelope as they pray for peace, pull on their backpacks for school, and prepare for another day of sirens and the sounds of incoming rockets. Tuesday, November 27th is Giving Tuesday. 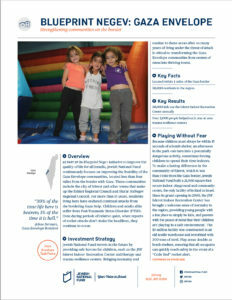 With a generous matching grant, all gifts made to JNF that day will be matched dollar for dollar. 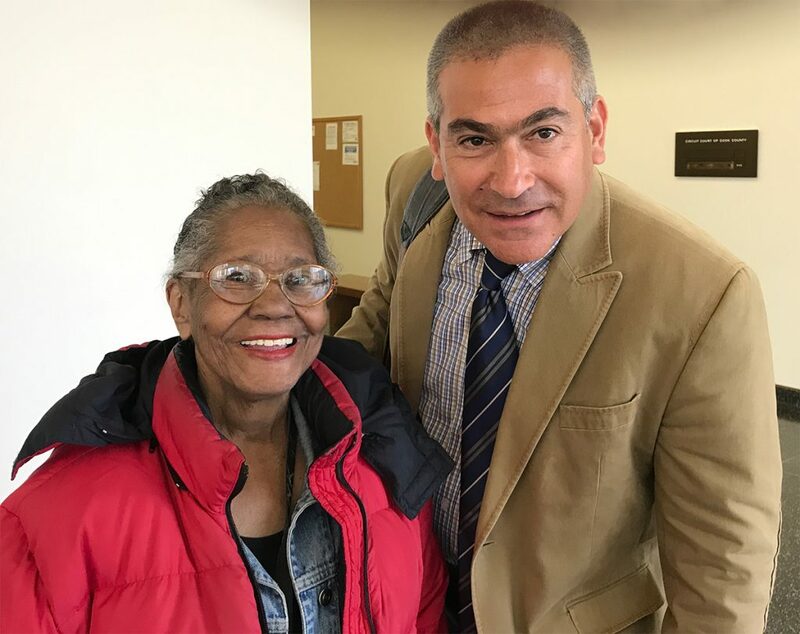 Click here to make your Giving Tuesday gift on 11/27/18. Be grateful for what you do not have, namely, stress in your lives resulting from daily missile attacks into your community! 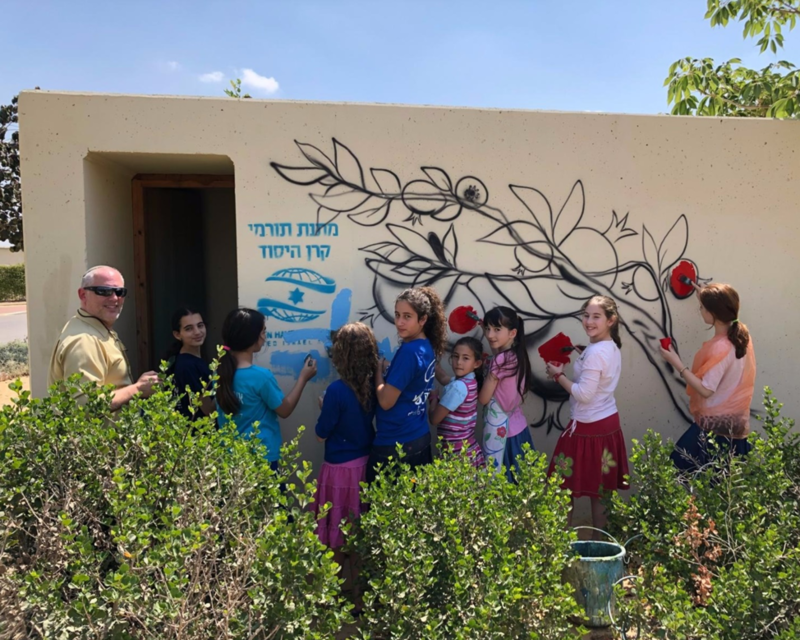 If you’re inclined which I hope you are, please click the link below to donate whatever you can to the Jewish National Fund’s Blueprint Negev Initiative. Please feel free to call or e-mail me for any additional information. For a relatively small sum of money, there are also naming and sponsorship opportunities. Your help is really needed and the funds go directly to the cause. Thank you for reading. Click here for more information about how you can help in the Gaza Envelope. 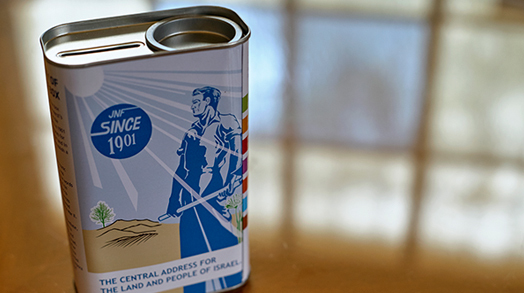 To make a general gift to the Jewish National Fund, click here.